ACPC is a small family run pest control company servicing customers in Galloway, Wigtownshire and south Ayrshire since 1997. The company is committed to and have built up a reputation for providing the highest standards of affordable pest control and responding quickly to customer needs. 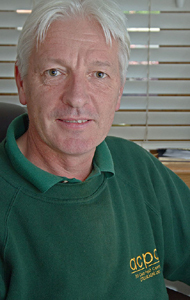 Director and founder Mike Fitzsimons (left) has over 38 years experience in the pest control industry locally and has experienced virtually every pest control scenario you’re likely to meet in this area. ACPC are full servicing members of the National Pest Technicians Association (NPTA) and adhere to their code of practice. Our fully insured technicians are qualified to R.S.P.H. Level 2, are members of the BASIS Prompt Professional Pest Controllers Register and are Accredited Wildlife Aware Technicians. ACPC carry out work for farms, shops, hotels, public houses, bakeries, caravan sites, food processing factories, non-food processing factories, nursing homes, Forest Enterprise, mansion houses, country estates and private houses. ACPC are pleased to carry out a free survey and competitive quotation whatever your pest and rodent control requirements. We specialise in rodent control for farm and agricultural buildings. All Clear Pest Control (Stranraer) Ltd provide pest control for clients in Stranraer, Newton Stewart, Girvan, Maybole, Castle Douglas, Wigtown, Whithorn, Kirkcudbright and throughout Wigtownshire, Galloway and South Ayrshire. ACPC – fully insured, polite, friendly and discreet!